Amputation matters and your injuries can be the result of a personal injury by someone: at work or other property, defective products, medical malpractice, unsafe workplaces, auto accident and many other factors. They all come with a cost far greater than basic medical expenses. 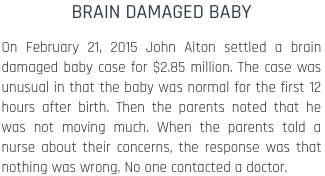 The Law Offices of John M Alton Co, LPA can help get you fair compensation and make sure those at fault are held responsible for their actions, or lack of. You and your family have a long journey ahead. Allow me in Dayton to worry about your amputation matter so you can concentrate on your recovery. A amputation matter needs to be dealt with and my intention is to help compensate you for your losses due to your amputation issue. 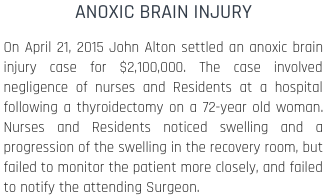 If you feel that your amputation matter has not been dealt with appropriately, allow The Law Offices of John M Alton Co, LPA the opportunity to serve your interests. I will help get you financial compensation for your amputation matter and protect and defend your rights. 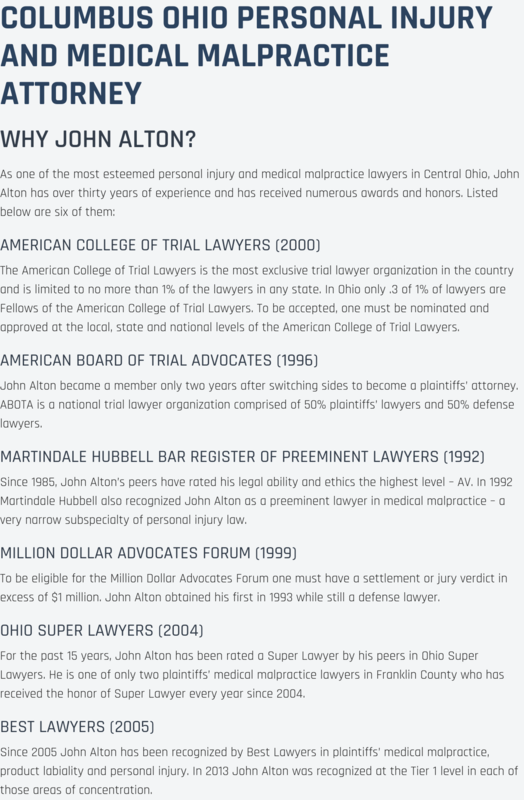 At The Law Offices of John M Alton Co, LPA, I have background experience with those types of large law firms notorious for their grit in the courtroom. My know how experience, commitment and personal individual attention about your amputation matter is crucial when it comes to upholding justice for victims like you. If you are in the Dayton area and are looking to attain the most beneficial legal counsel to deal with your amputation matter now. I am here to assist you.